iTube Studio is an easy-to-use video downloader for Windows PC, allowing you to download, record, convert, and transfer videos and music easily. It helps you to download videos from 10, 000+ sites in only 1 click in high quality. 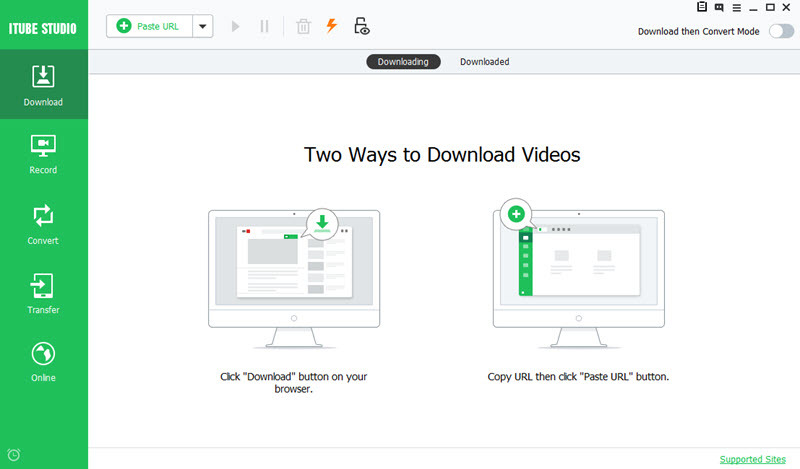 With it, you can browser video sites including YouTube, Facebook, Vimeo, Instagram, CBS, NY Times, Vine, Soudcloud, Animeultima.io, FC2, Bilibili and more, and then save any favorite videos with the enabled Download button. You can also convert the downloaded videos to your desired formats to play the videos on your iPhone, iPad, Android and other devices. Download this video downloader for Windows on your PC and start capturing online videos.